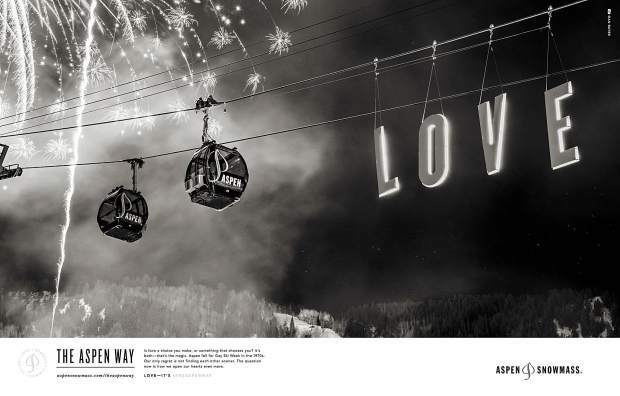 This advertisement is part of Aspen Skiing Co.'s campaign for 2017-18 that promotes the company's principles. 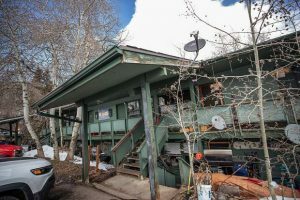 Aspen Skiing Co. is under contract to buy a piece of land in the midvalley to build multi-family housing for its employees. 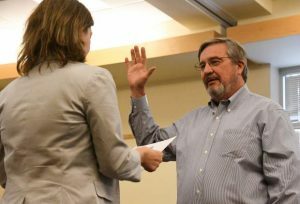 That was the news delivered Monday by David Corbin, Skico’s vice president of planning, to Aspen City Council as part of the company’s annual update to elected officials. 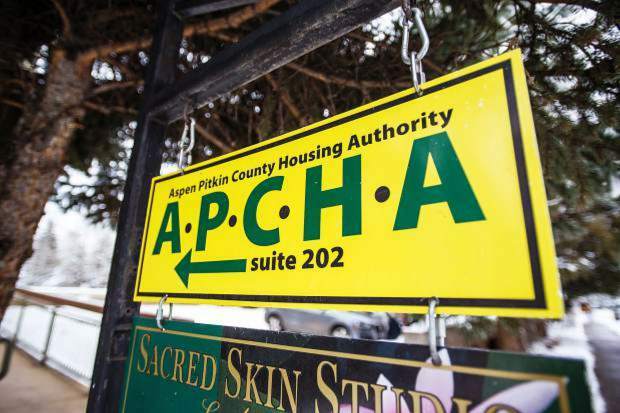 When asked by Councilwoman Ann Mullins what Skico was doing on the housing front, Corbin responded by saying the company is hoping to add 120 to 130 beds, which goes toward the overall goal of 600 in the next few years. “We are pursuing a midvalley opportunity very aggressively,” he said, adding it would be very near transit. “It’s a transit-oriented idea, basically. 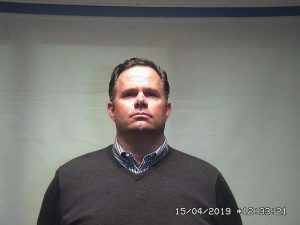 Corbin said after the meeting he expects to know whether the deal will close in the next two to three months. Skico is the largest employer in the valley and already has roughly 700 beds in its housing inventory. Also as part of the company update, Mike Kaplan, Skico’s CEO and president, reported that occupancy numbers show the first half of the season is softer than the second half. “This isn’t surprising; we are seeing some softness in international business,” he said, adding last season’s dismal snowfall is partly to blame for early bookings being down. “Most of that is currency, but of course it’s a little bit of snow hangoverness to be expected. That is one just one way Skico differentiates itself from other ski resorts, Kaplan said. He explained the company is focusing on how to grow skier visits responsibly. One strategy is to attract guests during off-peak times of the season and not just during the busy times. Kaplan also said Skico supports an expanded airport and runway to accommodate a new fleet of regional jets that have larger wingspans. And no — there is no conspiracy between Skico and the FAA, or private jet owners to bring in bigger airplanes as some have suggested, Kaplan added. Other highlights this year include the development of the decades-long stalled Base Village in Snowmass, Ski Magazine naming Aspen/Snowmass the “Best in the West,” and new restaurants opening in Aspen. “It feels pretty good,” Kaplan said. Christian Knapp, Skico’s chief marketing officer, reported that the company’s “Give a Flake” campaign has been well-received, especially on social media platforms. There have been close to 4 million digital media impressions on Facebook, Instagram and pre-roll video, along with over 2,300 people targeting a member of Congress using Skico’s Twitter widget, with close to 6 million impressions. As a result of its campaign, calls have been made to climate deniers in Washington, D.C., as well as climate champions. 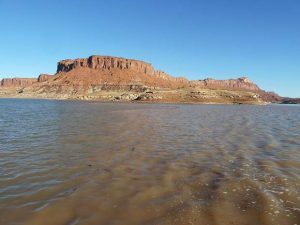 Knapp said Skico’s climate change campaign has produced more attention and action, with letters sent to senators on the issue. He also reported that its Mountain Collective and Ikon passes are selling well this season. Corbin updated council on Skico’s master plan for Aspen Mountain, which includes expanded terrain and snowmaking capabilities along with renovations to the Sundeck, the old Ruthies restaurant and a small expansion to the Aspen Mountain Club. The last master plan was done in 1997-98. Skico currently is obtaining final approval on its master plan from the U.S. Forest Service and Pitkin County. Kaplan began the presentation with Skico’s guiding principles, which is to “live passionately” by awakening the spirit, elevating community and honoring place. He told council that it’s incredibly powerful to operate from those values, and it’s what differentiates Aspen/Snowmass from the competition. “We are more than just getting up on the mountain,” Kaplan said, adding it’s about gaining self awareness and knowledge, as well as getting in touch with the spiritual side and what’s happening in society. He also noted that it’s a delicate balance for the company to advocate for environmental stewardship but be fiscally responsible. All four council members — Councilman Bert Myrin was absent — voiced their appreciation for the city’s relationship with Skico, and particularly its social message campaigns. “I feel warm and fuzzy inside,” Councilman Ward Hauenstein said.